Black Island Farms was established over 45 years ago and has been in the same family since. In the fall of 2005 Black Island Farms Opened its corn maze and it has only grown from there getting better each year! 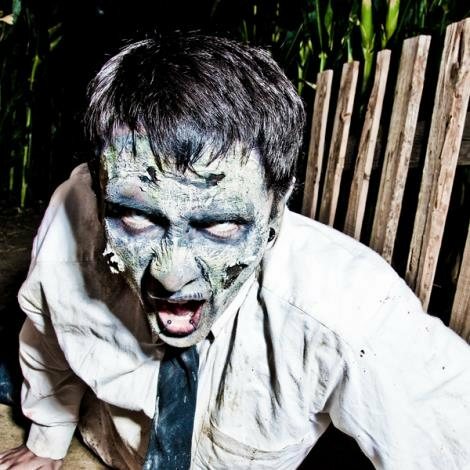 The maze and nightmare acres is a great place for any age group, we have a petting zoo, slides, playgrounds, paintball, corn cannon, corn slingshot, kiddie maze, the biggest maze in the state of utah, great food, pumpkin rides, and one of the best haunted houses/haunted corn maze in the state. It's a great way for the family to enjoy a cool evening in the fall. its a safe place for kids and teens to enjoy the company of there friends and have an amazing experience, and the perfect place for a date rather your a teenager or been married for 50 years, there is nothing better than having your loved one clinging to your arm. So come on down to Black Island Farms located in Syracuse Utah at 3178 S. 3000 W, we are looking forward to make your family apart of family and sharing every wonder experiance with each and every one of you.